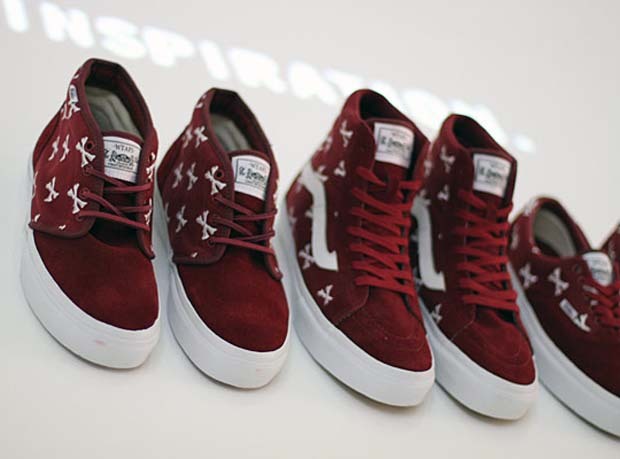 This next release has been met with some huge anticipation, as Japanese brand WTAPS continue their relationship with Vans, producing a new burgundy version of their hallowed ‘Bones’ design, using the Chukka, Sk8 Hi, and Era as the canvas. The suede/canvas mix is executed to perfection, using the most premium of materials for the suede toe boxes found on each shoe, and leather trim on the lining. 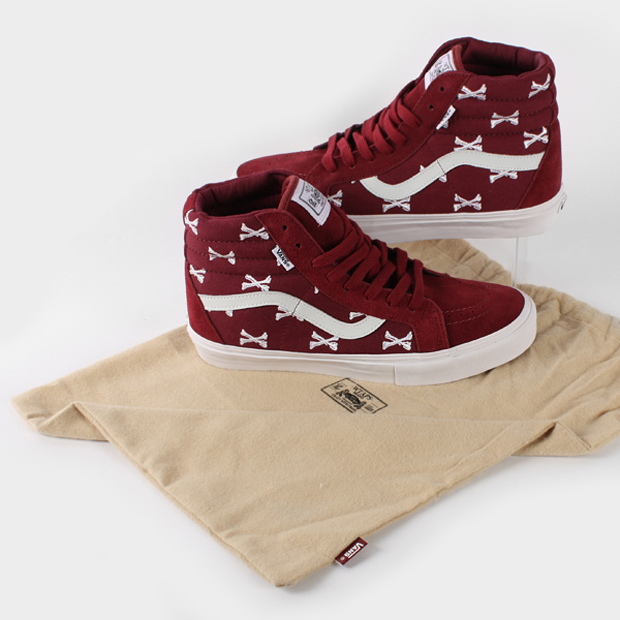 Canvas side panels are printed with the same crossed bones as the previous models, and each pair is finished with a WTAPS/Vans label on the tongue. As a finishing touch, they also come inside a special box with a branded shoe bag, as with previous releases.